The New York Chapter of Twelve Days of Christmas Inc. is hosting its Third Annual “Party With A Purpose” Cocktail Reception. A donation of $20 is requested, with 100% of the proceeds from the event donated to local families. Complimentary champagne and open bar will be served for the first hour. Cocktails and hors d’oeuvres will be available. 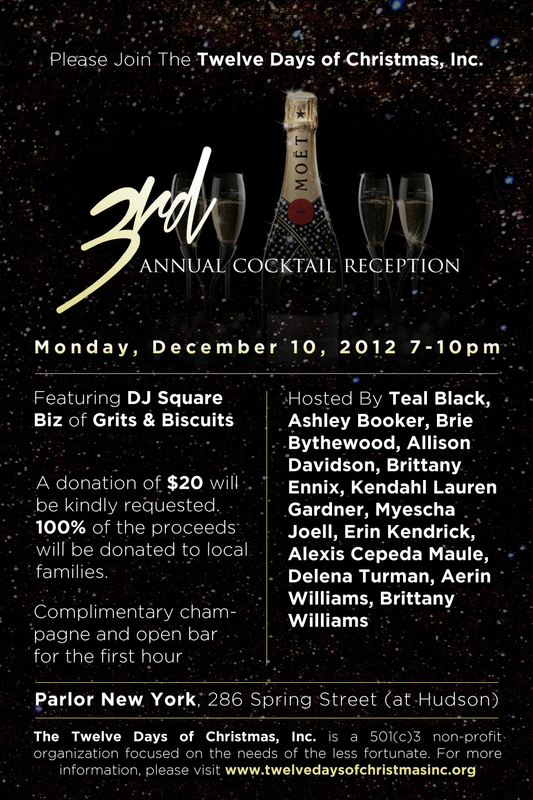 Music provided by Grits and Biscuits’ DJ Square Biz and No Suits Allowed. Spread the word and come out to party for a great cause.